The rise of populism has become one of the most hotly contested issues of our moment. Can populism be attributed to the people, or rather the working class? Does the political mobilization of a frustrated and underemployed population bear tidings of increasing xenophobic resentment, or demands for socialist equality? As economic divides grow deeper, are we bound for more Donald Trump and Brexit, or more Bernie Sanders and Jeremy Corbyn? In Populism Left and Right, Éric Fassin cautions against the promise that populism seems to hold for a more egalitarian future. Rather, Fassin warns that attempts to transform right-wing resentment of migrants and minorities into leftist rage against economic elites will just not work. 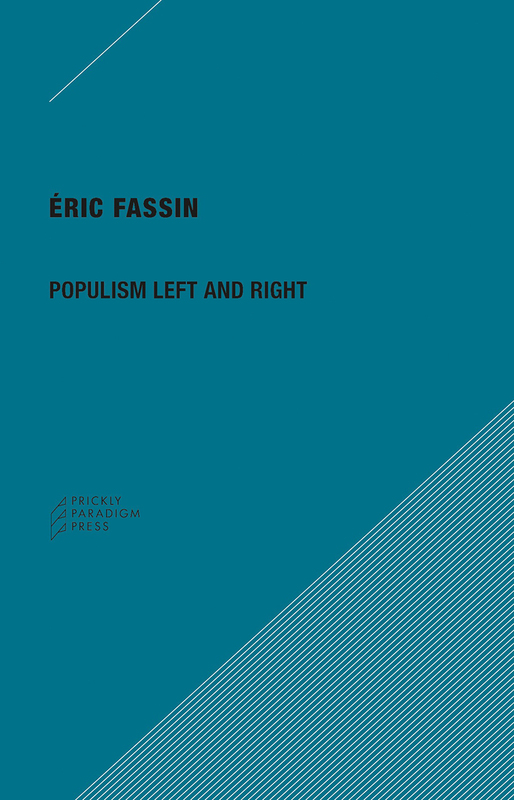 In this lively sociological and political commentary, Fassin argues that replacing the opposition between right and left by that between the people and the elites only feeds democratic despair.